Constructed between 1899 -1935, the historic Homes at Fort Lawton have been off limits to the public for generations. Similar to the stately and timeless former military housing in San Francisco’s Presidio, the former military quarters at Fort Lawton sit amidst vast parkland and are listed on the National Register of Historic Places. They are unlike any other residences in the City of Seattle. They are an irreplaceable collection of homes. While the exteriors of each home have been preserved and are subject to oversight by the Landmark Preservation Board, RISE Properties Trust has collaborated with GGLO Architecture to re-envision the interiors with thoughtful finishes, state-of-the-art systems and appliances and other modern conveniences for how we live today. Each home has the nostalgic signature of high ceilings, thick moldings and refinished hardwood floors, as well as tiled fireplaces, oversized windows, and wraparound porches. 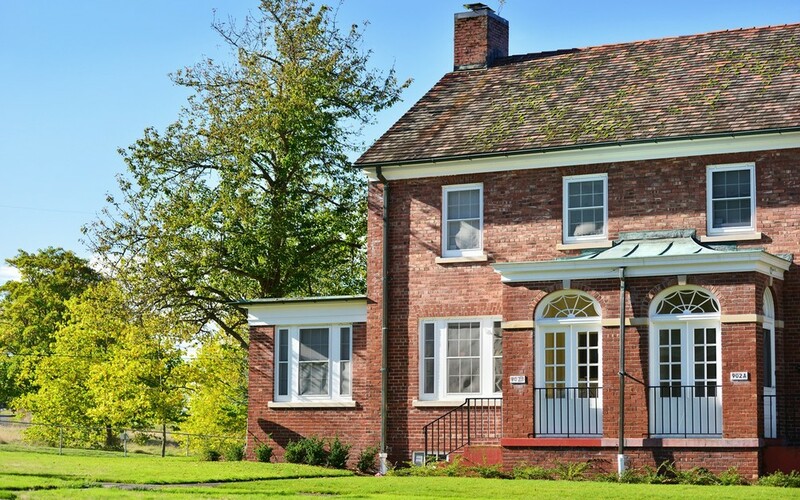 A careful balancing between restoration and retrofitting ensures that The Homes at Fort Lawton are equal parts historic as they are modern – the perfect hybrid of past and future. They are all built in the Colonial Revival-style and befitting the importance of the military families that called them home for decades, they range in size from two-bedroom homes to six-bedroom estates. The heirloom Homes at Fort Lawton in Discovery Park are unmatched in their offerings—from the gorgeous, historic architecture with more current interior updates, to the sweeping vistas of the Puget Sound and Olympic Mountains, to the surrounding hundreds of acres of protected parklands. And all of this is within the charming neighborhood of Magnolia, just minutes from downtown Seattle. It’s an opportunity to live in a landmark while enjoying a town and country lifestyle matchless anywhere in the United States. 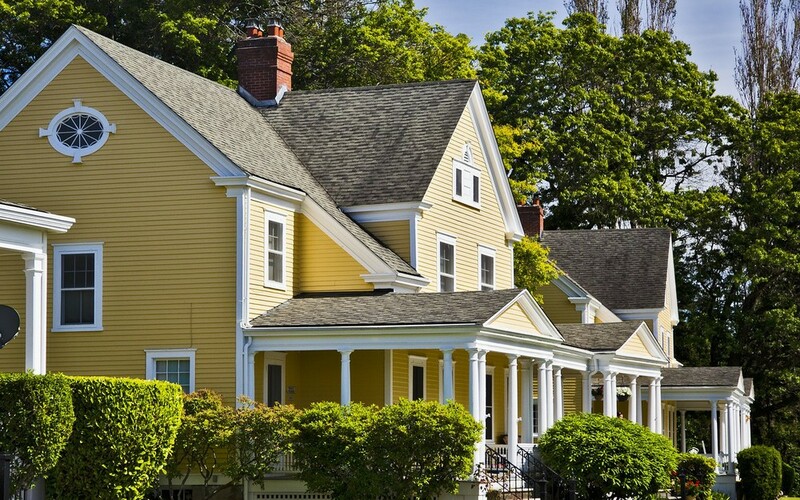 The Homes at Fort Lawton are comprised of two distinct enclaves that share the same legacy. Each will be released for sale as they are restored beginning with Montana Circle – debuting September 2015. Prospective buyers are encouraged to register to receive priority sales information. Rise is a team of highly-regarded development professionals creating quality communities throughout the Pacific Northwest. With decades of experience and dedication to our core principles of doing the right thing, work to be proud of, and being the best, we work collaboratively to deliver homes of excellent design, quality, and value for people to enjoy. Throughout his 28-year career, Gary has been privileged to work for regional and national leaders such as Avalon Bay Communities, Harbor Properties and Opus. During this time, his greatest satisfaction has come not from the excellent properties he’s helped build, but from his collaborations with gifted designers who artfully illustrate the vision for these properties, and his leadership to skilled contractors who embrace a disciplined approach to executing that vision. Gary’s experience involves over 3,000 residences and his scope of responsibility has ranged from management of the design, permitting and pre-construction phases, through construction management, marketing and sales. Gary earned a Construction Management degree from California State University at Fresno, is a licensed real estate broker and a member of the Urban Land Institute. Seth Gary joined in 2014 as Senior Project Manager to oversee the restoration and preservation of The Homes at Fort Lawton in Discovery Park. He brings an outstanding background in development to this project, which includes overseeing the renovation of five world class resorts for the Four Seasons. His education includes degrees in design, business administration, and construction management. In addition to his exceptional resume, Seth also demonstrates a commitment to his community by serving actively in organizations such as the Puget Sound Leadership Council of Medical Teams International and King County Board of Youth for Christ. Founded in 1986, GGLO started out designing custom, luxury single family homes and hospitality projects in the Pacific Northwest. Today, GGLO designs distinct places where communities of people connect and thrive. We seek to bring the essence of community alive in each of our projects – believing the fundamental desire to interact and feel a part of something can be evoked through design. Our architects, interior designers, landscape architects and urban designers work across scales and project types to create holistic neighborhoods, blocks, buildings, public places and homes. GGLO’s four disciples work both collaboratively and independently with national and international reputations, awards and accolades recognized throughout its portfolio. In 2014, GGLO was named, by members of the USGBC, the Best Residential Design Firm. Artfully uniting extraordinary homes with extraordinary lives, Realogics Sotheby’s International Realty is a leading global sales and marketing brokerage firm in the Pacific Northwest. The Puget Sound Business Journal recognizes RSIR among the top ten largest brokerages in the region by total dollar volume. The boutique real estate firm of 120+ brokers and employees consistently ranks among the top producing within the markets that they serve with branches in downtown Seattle, Bainbridge Island, Kirkland and coming soon to Issaquah. For more than twenty years, Stephanie McMahon has been developing and launching luxury brands across the real estate, travel, and hospitality industries. As an early adopter of lifestyle marketing, her breadth of experience at the helm of numerous sales and marketing teams reveals upscale projects in some of the nation’s most coveted “ski and sun” destinations. Stephanie’s approach bridges the development process and its priorities and the buyer’s sensibilities, true needs and deepest desires. Her methodology, fully integrating sales and marketing efforts, has resulted in record-breaking project launches and accelerated sales velocity for clients including Agassi-Graf Development, Tamarack Resort, Four Seasons, Verge, and Golf Odyssey Elite Hotels, among others. Her passion for real estate stems from the belief that a home is so much more than just a shelter, offering refuge, inspiration, reprieve, and most importantly, memories. It is the nexus of one’s lifestyle, encompassing locale, convenience, community, and more, which is why Stephanie is delighted to be involved with The Homes at Fort Lawton as the community’s Sales Director . Caliber Home Loans, Inc. is a full-service national mortgage lender and agency direct seller/servicer. Caliber originates loans through various channels and transaction types, including a network of retail branches, wholesale and correspondent lending, and a consumer-direct centralized operation specializing in a variety of loan programs for purchase and refinance such as conforming, jumbo, and government products. Caliber also offers innovative servicing solutions for both conforming and non-conforming loans. Caliber is led by a veteran senior management team that consists of mortgage banking professionals with a history of building successful national mortgage operations. Mortgage Planner Keith Lashley is well equipped to meet the needs of discriminating borrowers. With 13 years of experience in mortgage banking Keith keeps up to date on ever-changing industry regulations. He takes the time to educate you about your loan options to help ensure that you make a confident, informed decision. Backed by the strength of Caliber Home Loans, Keith can help you select a loan that caters to both your short- and long-term mortgage financing needs. As a former marketing executive with large corporations, Keith uses his strategic planning experience to guide clients through the lending process. He has a passion for helping borrowers navigate Jumbo loans and financing for new construction. A Seattle native, Keith holds a B.A. in Business Administration from the University of Washington. Contact Keith today to learn how he can earn your trust by matching you with a mortgage customized to help meet your home purchase or refinancing goals. BOLA was formed in 2000 by Susan Boyle and Rhoda Lawrence. BOLA designs successful public and community facilities, provides design and planning for historic preservation rehabilitations and restorations as well as offer landmark reviews, and historical/cultural surveys. BOLA’s leadership and professional staff have served on civic commissions and boards, and are effective facilitators of decisions for community-based projects. Organized as a studio, the two principals are involved in all phases of work, providing first-hand creativity seeing the project from project programming through completion. After the Fort Lawton Historic District was acquired by the City of Seattle, the site was listed on the National Register of Historic Places in recognition of its local historic significance in 1988. In 2009, BOLA updated the nominations which expanded the District’s area and revised its boundaries to include additional historic residences. The site is significant for its association with the development and history of Seattle, and its embodiment of historic military forts and building design. This Fort Lawton Residence project is an example of BOLA’s integrated planning and design process. Partnering with the world’s most thoughtful professionals to engineer extraordinary places. KPFF is a multi-office, multi-discipline engineering firm. We’re driven by a commitment to our core values of Excellence, Trust, Relationships, Stability, and Passion; defining our professional practice, how we are organized and our commitment to our clients and employees. Jeremy is an Associate with KPFF Consulting Engineers. With over 15 years of experience, he has worked extensively with private land owners, real estate professionals, and land developers in the entitlement and development of properties throughout the Puget Sound region. Jeremy has designed stormwater management systems throughout the northwest. Most recently his work included the Infrastructure and short platting improvements at Discovery Park.